While bicycle sharing systems have been around since the Witte Fietsenplan (White Bicycle Plan) experiment of 1960’s Amsterdam, attributed to Luud Schimmelpenninck and the Provo counterculture movement, the chances of real success at a city level or as a reliable form of public transport came with fully-automated, subscription-based systems, coined “3rd generation”. Most experts see Vélib’ in Paris as the tipping point of successful city-wide PBS. 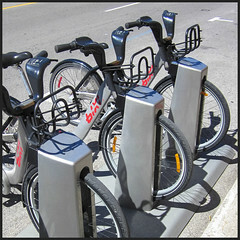 Although other systems in France were up and running with plans similar to that of Vélib’ by its launch in 2007, Paris’s reputation as one of the great cities of the world, the size of the PBS and system attributes and the continuing success has proved that bike sharing can work in almost any city in the world. 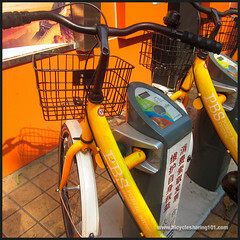 The tables below illustrate some of the aspects of the ‘History of Bicycle Sharing’ chapter in the book Bicycle Sharing 101: Getting the Wheels Turning. They are meant to be viewed in the context of reading that chapter. FIG 1: The table below summarises the key aspects of PBS evolution. FIG 2: The table below summarises the key differences between bicycle sharing and rental. Adapted from a presentation by Peter Dalos of COWI Hungary Consulting and Planning Ltd. FIG 3: The table below summarizes the key direct and indirect benefits of bicycle sharing. DIRECT BENEFITS ☐ Maximizes resources: more trips per bicycle per day. 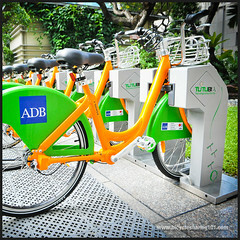 ☐ Convenience for user: access when needed without hassle of ownership, maintenance or storage of a bicycle. ☐ Flexible, tailored, point-to-point Personal Public Transport option. 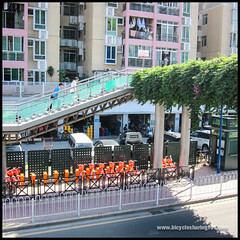 ☐ Efficient and organized use of public space by controlling parking. ☐ Solves the “last mile” problem: acts as a feeder system to other transport options. * ☐ Solution for short trips: eases strain on existing public transport systems, decreasing congestion and improving service. 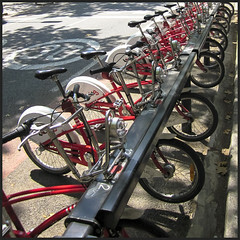 ☐ Reduces necessity for private bicycle parking facilities: space is used for the general well-being of a community rather than private parking. ☐ Eases entry into cycling: attracts new or latent users to bicycle use, with consequent benefits associated with increased cycling. INDIRECT BENEFITS ☐ Provides citizens with a healthy, active transport option for short trips. ☐ Decrease in tailpipe emissions and noise pollution. 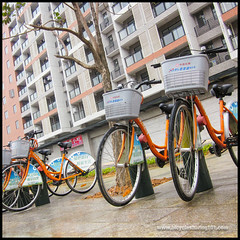 ☐ Solves the “chicken-and-egg” scenario by providing users to justify investment into supporting bicycle infrastructure. ☐ Improves cycling safety: more cyclists means more awareness by motorists. ☐ Increases property values through TOD and fosters urban revitalization.